Fort Belknap, Montana—Tuffy Helgeson, 31, is one of the country’s youngest fluent speakers of Nakoda, his native language. He’d like to change that. In 1978, just a few years before Helgeson’s birth, the American Indian Religious Freedom Act became law, finally affirming the right of country’s indigenous people to access sacred sites, worship in traditional ceremonies, and use materials they consider sacred artifacts, like eagle bones, which non-Indians are generally restricted from obtaining. “That, alone, moved mountains,” Helgeson said. It also moved his grandmother to teach him, her youngest grandchild, to speak Nakoda. He thinks the law made her feel it was finally safe. Knowing his culture and practicing his religion help ground him, Helgeson said. As a teacher at Hays-Lodge Pole High School on the Fort Belknap Indian Reservation in Montana, Helgeson works hard to pass on that cultural knowledge. Young people’s finding hope and pride in the past, he thinks, could be key to their future. A school-turnaround grant program—funded by the federal government and run by the Montana Office of Public Instruction—may be changing that. 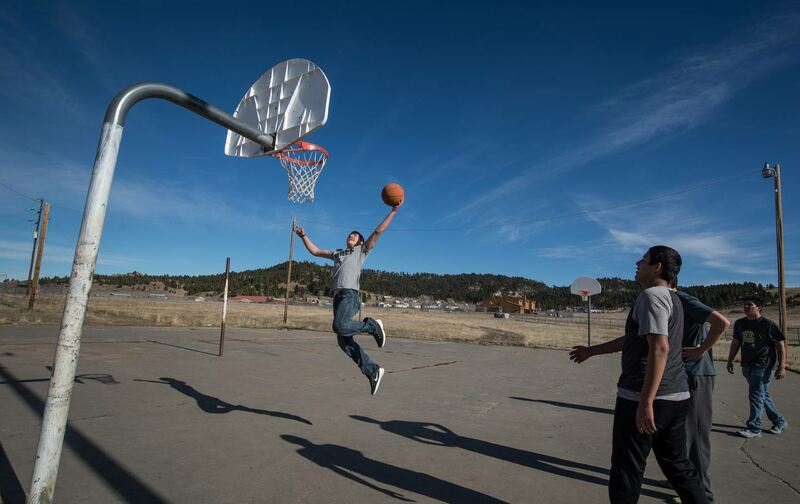 But given the weight of history, the persistence of poverty and the depth of disaffection here, it’s fair to ask: Is a three-year grant really enough to pull Montana’s reservation schools back from the brink? Montana Superintendent of Public Instruction Denise Juneau, who is Native herself, launched the state’s Schools of Promise grant program in 2009. Participating high schools get teacher training, support for administrators, guidance on school culture, additional funding, and wraparound health and social services, among other benefits. The state dedicates nine full-time staffers to the program and an additional five work on it part-time. So far, six communities have been or are currently home to Schools of Promise high schools. Since then, students, teachers, and state officials say, the school has improved. Achievement and graduation statistics for such a small school can be misleading; one student in a class of 20 can easily throw an average off. But suspensions are down, and a newly hired dean of students is working on improving attendance, which stands at about 85 percent. Standardized test results from this year and next will give the district its first objective measure of academic growth. Helgeson, deeply skeptical of what he terms “a token effort,” by the state, said he has been pleased to see his people’s long-revered traditions, ceremonies, and language return to the daily life of the school. At least in part, he credits the work done under the grant for that return. He and others here also say they’ve been impressed by how much they’ve been able to direct the grant’s priorities locally. It’s likely to be a long walk. “Our ancestors’ bones are here,” Helgeson said. But his more recent ancestors were not educated here. Toward the end of the 19th century, when it became less politic to murder and rob American Indians outright, US leaders found ways to “help” them by “educating” their children at distant boarding schools. The phrase “kill the Indian, save the man,” became the guiding philosophy for assimilating American Indians into the white, European mainstream culture. For the next three-quarters of a century, reservation children were sent away to schools where they had their hair shorn, were punished for speaking their native languages, and sometimes weren’t even allowed to see their siblings of the opposite gender. Many older Baby Boomers here have clear memories of their boarding-school days. It wasn’t until the Indian Self-Determination and Education Assistance Act was passed in 1975 that Native communities were permitted to run their own public schools on their own land. What do we owe them? American Indian children continue to be offered a subpar education, is it too late to fix that? Many on the reservations are fighting, and have been fighting, to make their schools good places of learning. But the barriers are both numerous and complex. And so, in Montana and throughout much of the West, reservation schools are routinely the most poorly performing in the state. These schools exist in communities with almost no tax base. The median household income in Hays was $25,833 in 2014, just more than half the median for Montana as a whole, according to the 2014 American Community Survey by the US Census Bureau. The median income in Lodge Pole is slightly higher, at $37,500. The unemployment rate in Hays in 2014 was 25 percent. It was 18 percent in Lodge Pole. In Montana as a whole, it was just less than 7 percent. Unofficially, local teachers and community members report unemployment rates closer to 80 percent. The land, despite its beauty, has no easily salable natural resources. And, like most Indian reservations in Montana, Fort Belknap is too isolated to make much money off gaming, as some reservations do. 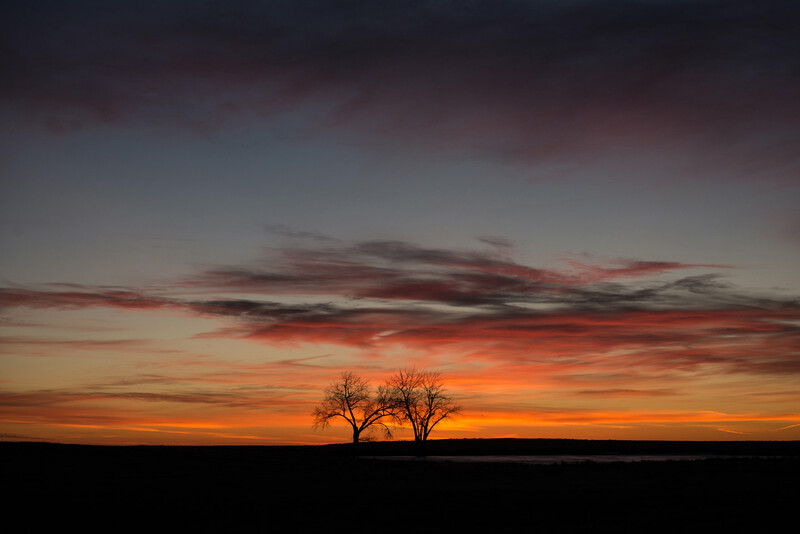 With no clear tribal-wide business opportunities and too few residents earning enough to make local tax levies fruitful, reservation schools like Hays-Lodge Pole are dependent on a web of state, tribal, and federal funding for their annual budgets. Heart Butte School is nestled on the eastern edge of the Rocky Mountains. All of the craggy peaks visible from the school ground used to belong to the Blackfeet, but are now part of Glacier National Park. 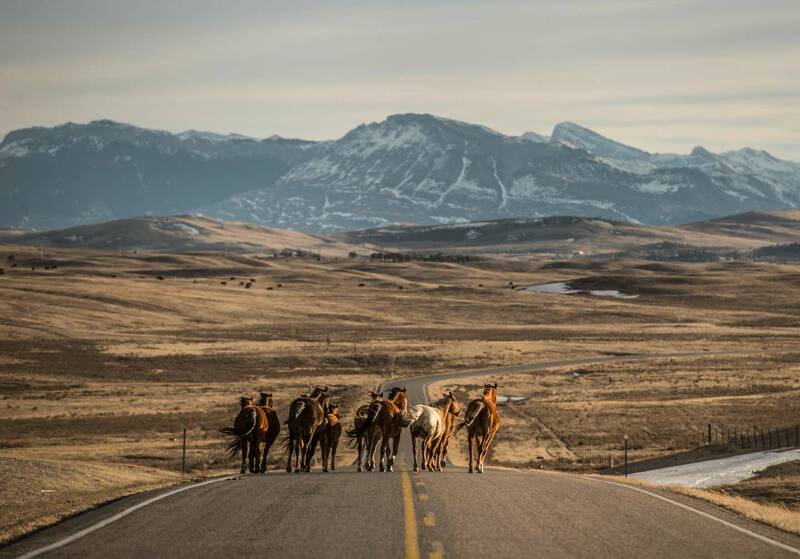 Even after that loss at the turn of the 20th century, the Blackfeet—once the most powerful of the Plains tribes—have one of the largest reservations in the country. The school in Heart Butte, one of the smaller towns on the reservation, serves children in K-12 and is the newest participant in the Schools of Promise program. Bird, who won’t be in school long enough to benefit from any improvements under the grant, plans to attend Blackfeet Community College in nearby Browning next fall and then transfer to a four-year school to earn a degree in psychology. He’s not sure what job his psychology degree might land him, but he’s sure the options will be better than if he stays on the reservation without a degree: Stocking shelves or being a rancher are the only choices he can think of. And then there’s Thane Helgeson, 16, from Fort Belknap, who would love to be a rancher. Thane Helgeson, the nephew of Nakoda teacher Tuffy Helgeson, spends his summers as a singer at the pow-wows held by tribes throughout the west. Pow-wows can look like rodeos or county fairs to outsiders, but they are not. For American Indians, the multi-day gatherings have been an important spiritual tradition from time out of mind. They are also far more interesting to young Helgeson than school. Since his own thing did not involve earning high-school credits, Thane Helgeson was way behind when he returned to school as a sophomore. To regain his footing, he signed up for the new academy program here, which helps students catch up and chart a course to graduation. The extra staff position to run the academy is covered by Schools of Promise grant funds. The would-be rancher likes the program, but said it’s not what made him return to school. It’s not crazy that students like Thane Helgeson figure playing basketball, a wildly popular sport here, is the best reason to attend school. Jobs requiring a college degree are even more scarce on the reservations than jobs that don’t require one. In the smaller reservation towns, like Hays, Lodge Pole, and Heart Butte, the only institutions offering jobs for college-educated professionals—or jobs that pay middle-income wages—are tribal government, law enforcement, the Indian Health Service, and the schools. Consequently, it is a constant challenge to staff reservation schools with certified teachers. And even though there is some evidence that native children, like other minorities, learn better when taught by certified teachers of their own race, finding such teachers is particularly difficult. Teaching positions often go unfilled or are filled by white teachers from elsewhere. 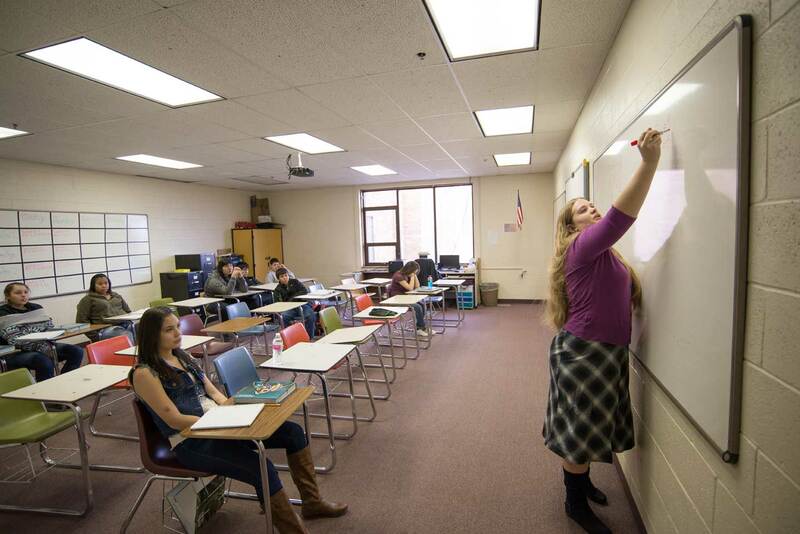 “You have to come in and build your way into the community,” said Kristi Marchand, a white math teacher in Heart Butte. Marchand hopes to use her decade of experience teaching in low-income schools to help her fellow teachers access resources, like grants for classroom technology, she’s learned about elsewhere. Some white teachers, like Marchand, are married to men from the reservation. Carol Day Rider, a white teacher from Chinook, Montana, has been at Heart Butte for 38 years and raised her family nearby. But most outsiders leave after a few years. It’s a problem at the administrative level as well. Many of the Schools of Promise had a revolving door for principals and superintendents in the years leading up to their participation in the program. Heart Butte School has had six superintendents, including the current one, since the 2012–13 school year. A rotating cast of principals means that the school has had a total of nine administrators in the past four years. This year is no better. The superintendent quoted in a November 2015 Atlantic article about the launch of the grant program in Heart Butte has already left. And his replacement, Hall, will be leaving at the end of this school year. Some administrators left of their own accord, others were asked to leave by the local school board. And while some of the administrators and teachers who left may not have been that helpful to the local community to begin with, it’s also true that small town politics, limited resources and trying to help students who are living in poverty can take a toll on even the most dedicated educators. For the many administrators and teachers who come from the outside and have no family network here, it can be even harder. “I don’t think anyone means to make you feel like an outsider, but it kind of happens anyway,” said Alex Rohde, a white math teacher at Hays-Lodge Pole. In a bare-walled classroom on an unseasonably warm February morning, the first-year teacher was leading a class of sleepy algebra students through a new procedure for finding the value of x. Crisp textbooks sat on each desk, another windfall of the grant. The next newest thing in the room was a bulky desktop computer. Many students failed the first tests Rohde set them in the fall; now, in February, most are passing. “Kill the Indian, save the man,” was the mantra for three quarters of a century of educators of native children. Lowering the standards has been the norm over the years, said Superintendent Campbell and Hays-Lodge Pole principal Connie Filesteel. “We know they’re bright, we know they have potential,” said Filesteel, who grew up on Fort Belknap and is working on her doctorate in education at Pennsylvania State University. Filesteel is about the same age as Tuffy Helgeson, the Nakoda teacher. She calls him her brother “in Indian way,” a common saying on the reservations. An outsider, she said, would deem them cousins, but family relationships are closer here. Filesteel believes it is the calling of her generation, the first to grow up without suffering the outright persecution of earlier eras, to restore the old ways and values to reservation life. To that end, there’s now a student sweat lodge on campus, where students can take part in the ancient rituals of prayer and cleansing. 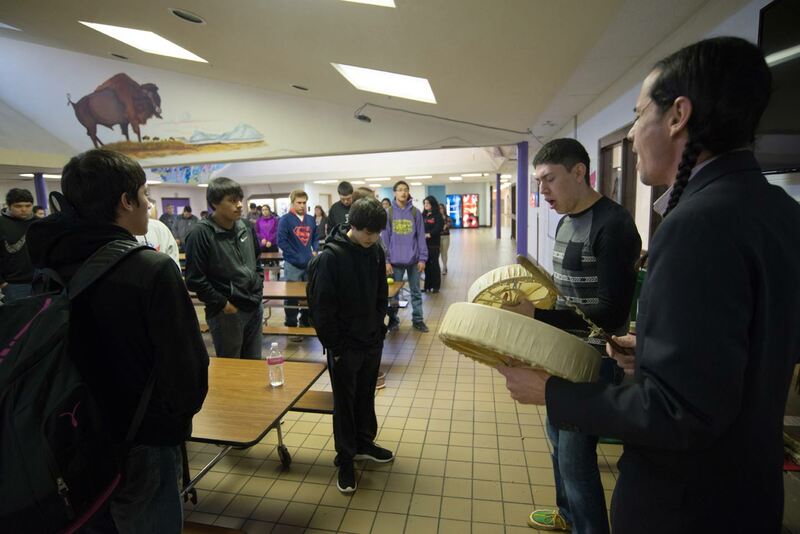 Song and prayer in Nakoda and Aaniiih are offered during whole-school gatherings every morning. (So is the American pledge of allegiance.) And elders have been invited to campus and presented with tobacco, in a traditional show of respect. Doing one’s best is a clear tenet of the Aaniiih and Nakoda cultures, Filesteel, and she thinks that should include high academic expectations. “That hasn’t been the case” in recent years, she said. If the school can get children ready academically, she hopes there will be fewer such lost opportunities. Behavioral expectations have already risen, she said. Asked what’s changed, a group of seniors in an English classroom have plenty of answers: There’s a new student council (a result of the grant); self-sufficiency and culture are emphasized; and teachers are more organized and expect students to do more work, they said. Kicking Woman, a high-school senior, is the student representative on the committee set up to oversee the progress made under the Schools of Promise program. Community members, teachers, and administrators are also represented. And while some of those steps could certainly continue forward when outside support is taken away, progress could be slowed when the more direct benefits cease. The Montana State Legislature recently voted down—on a 50/50 split vote—a measure to continuously fund $669,300 a year worth of wraparound services and ongoing support for Montana’s Schools of Promise. That will put the grant-funded counselor position at each school at risk when the grant ends. Right now, counselors are helping connect students with needed services, from steady access to food to mental-health counseling. Montana leads the country in innovations to help reservation high schools turn around, but is it enough? Moreover, many teachers—white and native—need additional, and likely ongoing, training to consistently teach grade-level lessons that will make their students college-ready. More complex shifts, like creating a long-term plan to better maintain a steady teaching force are goals that do not seem to have come to the forefront yet. It’s hard to imagine that one more school year of extra state support will be sufficient to allow school leaders to really set themselves, and their students, on a new path. Smoker Broaddus of the Montana Office of Public Instruction said she’s proud of what has been accomplished so far, but three years—the amount of time, per school, that federal school-improvement funds are available—is simply not long enough to give these schools the kind of support they need to permanently turn the corner. Seven-year grants are rare in education these days. Nearly every improvement grant available, as state superintendent Juneau pointed out, is on a three-year cycle. The idea is that schools receiving the grants will use them to reach “self-sufficiency.” But when the grants include a massive influx of money and staff support, it’s hard to see how schools can be expected to continue to operate on the same plane when those resources disappear. 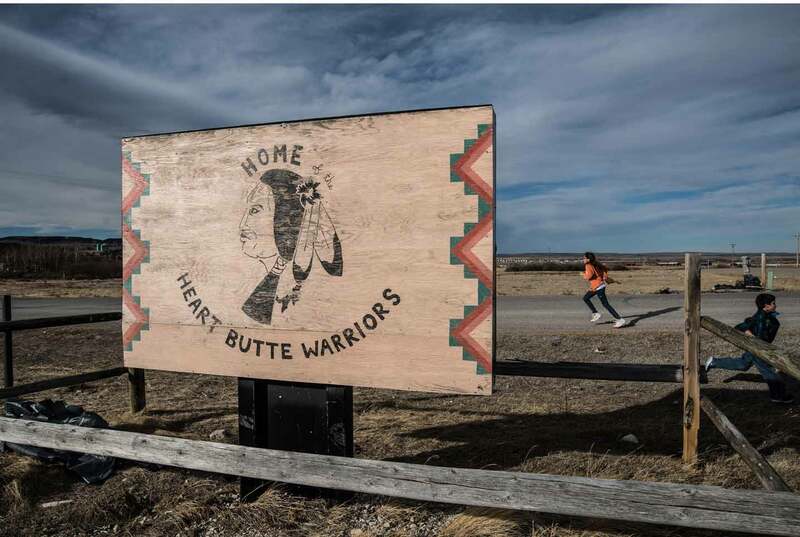 In an effort to give schools more time, state leaders gave the newest school in the program, Heart Butte School, an introductory year so the leaders can help the community develop a detailed plan for the three years of grant funding. Yet, even with all the caveats, the Schools of Promise program is likely the best program the country currently has for turning around native schools. The problems in Heart Butte and Hays-Lodge Pole are, unfortunately, not unique. “[Reservations are] never going to generate the tax base that they need in some of these places to have the schools they need, so there are going to have to be outside resources,” said Chris Minnich, the executive director of the Council of Chief State School Officers, an association of state superintendents. Smoker Broaddus and others at Montana’s Office of Public Instruction have been getting calls about how Schools of Promise could be replicated in other states. The most important ingredient in successful replication, officials said, is offering local communities significant control over how the funds are spent. In a seeming paradox, they said it’s also important for the state education department to maintain direct control over the funds. Federal School Improvement Grants are usually passed through the state and on to school districts, but small rural districts often don’t have the capacity to administer the grants themselves. They don’t have the financial systems in place and they lack full-time teacher coaches or other experts that can be called on to make the grant proposal a reality. So in Montana, the state education department administers the federal grant funds, which they said comes as a surprise to state officials elsewhere. Minnich hopes the additional control granted to states under the latest revision of the Elementary and Secondary Education Act will encourage his members to focus more resources on reservations schools. “We owe it to those kids,” he said. Greater support for K-12 schooling could make it more likely that native kids get into and are prepared for college. But the support can’t stop with college admission, said Eileen Peacock of the American Indian Education Fund. Despite the challenges, it’s clear that many young people from the reservations want to go to college and many of their elders want to see them get there. “That’s the number one thing: to get these kids higher learning and give them the courage to stay with it,” said Jimmy Wells, the grandfather of four children at the Heart Butte School. And many of the kids want to be those leaders. Terrell Young, 17, wants to study neuroscience at the University of Washington to understand how brains become chemically addicted to drugs. Leora Kicking Woman, the student representative from Hays-Lodge Pole, wants to earn her foreign language certificate to teach Nakoda, maybe here at home. Deanndra Little Dog, 16, from Heart Butte, is in love with art and hopes to study it at the Santa Fe Art Institute in New Mexico. Tylynn Calf Boss Ribs, 18, wants to be an NICU nurse in Great Falls, Montana, a city to the south with a large hospital. Chase Arrowtop Knot, 18, wants to be a pilot. He’s heard there are some good flight schools he could attend in Oregon, but he’s not sure how to apply or what it would cost to attend. Deric Denney, 16, wants to be a diesel mechanic, maybe in Butte, Montana, but definitely not at home. Denney’s sentiment is shared by many teens on the reservations, yet they also share the desire that their children should know these places, these cultures, these languages. Helgeson, the Nakoda teacher at Hays-Lodge Pole, says it’s nearly impossible to explain to outsiders the push-pull of the reservation on the children who grow up here. On the one hand, he thinks it’s a problem that so many native people are dependent on the federal government for food and housing. He’d like his students to be more self-reliant. On the other hand, he’s not sure he or his people should become convinced that leaving the reservation, making money, or pursuing a career are the only ways to live a fulfilled life. So where does that leave Hays-Lodge Pole High School? What should the school’s goals for its students be? Helgeson isn’t sure. But he thinks the real question is even bigger: “At the end of the day, as a nation, what’s our place in this world?” he asked. Assimilation should not be the goal, Helgeson and many others believe. A better goal, they say, is self-determination, both for the tribes as whole communities and for the individuals within them. To get there, said Campbell, the Hays-Lodge Pole superintendent, there is no question that help is needed. 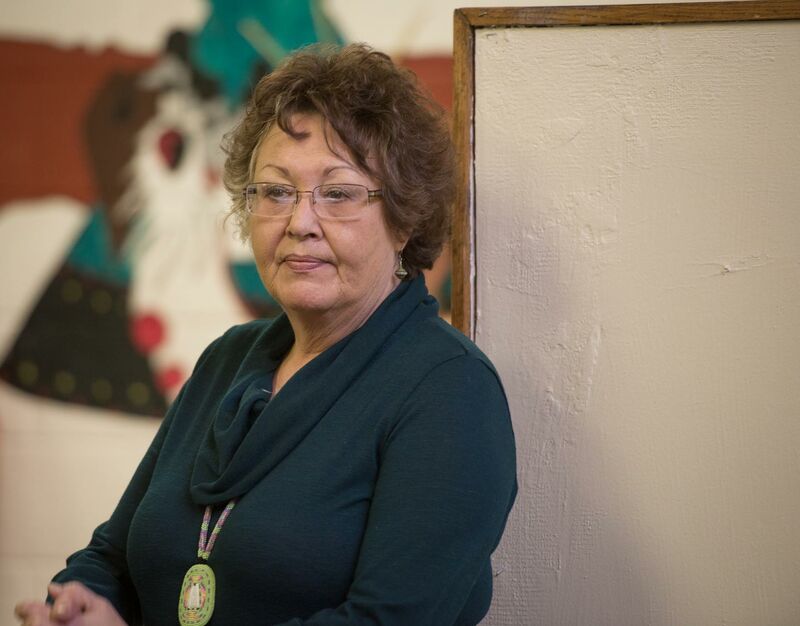 The Schools of Promise grant is one piece of that, but she won’t stop fighting until Hays-Lodge Pole has a high school her people can be proud of. Editor’s note: This story has been updated to reflect Connie Filesteel’s legal name and current status as a PhD candidate at Penn State. Lillian MongeauLillian Mongeau is the engagement editor and West Coast correspondent for The Hechinger Report.